The other day as I was about to was to wash my hair I noticed my nails were chipped and all raggedy. The chipped ends are like razors and I always end up with broken hairs in my nails at the end of a hair wash.
this happens to me waaaay too much. you’d think I learned by now. 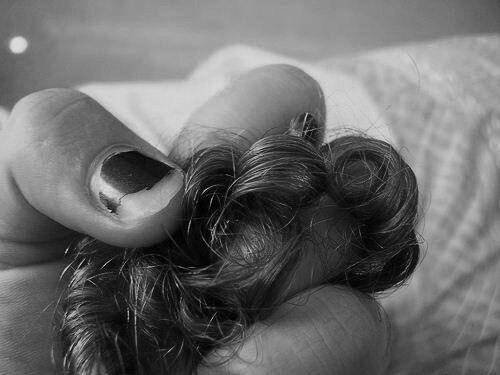 my hair always gets snagged on the itty edges of my nails, sometimes pulling it all out…lol, shame on me!